It has been quite some time since I’ve updated everyone on how our family is doing since Delaney has passed. I feel like I had to pull back from posting because in all honesty I had nothing positive to say. Laney always would tell me, “Everything’s going to be okay”. I believed her then but now it’s definitely a lot harder to believe. I had my first mother’s day without all my children. I asked my husband not to make a big deal about mother’s day this year. I told him that if the kids wanted to do something that was fine but I didn’t want him to go out of his way to make a big deal out of it. I guess avoidance was the way I chose to deal that. If we didn’t celebrate Mother’s Day, then it won’t be Mother’s Day, and I won’t realize how much I miss being a Mother to Laney. The fact that I work Saturday and Sunday night did help with avoiding the day. My coworkers were kind enough to keep the Mother’s Day talk to a minimum. I don’t know if that was the right way to handle it or not but that was my way. There is no instruction book on how to get through this with the least amount of pain possible. As a family we have been trying to keep busy. 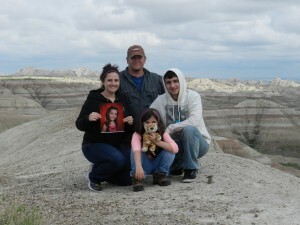 We took our first family vacation since Laney passed and there were many tears along the way. We took a road trip to Yellowstone. This was a trip I know Laney would have loved and it broke my heart that we had never done it while she was here, for this reason or the other. Now we live with the regret that comes along with that. Sometimes when you wait for the “best” time, you run out of time. We spent days in the car just driving to different scenic areas. Cell phone reception and internet was sparse which was a blessing. 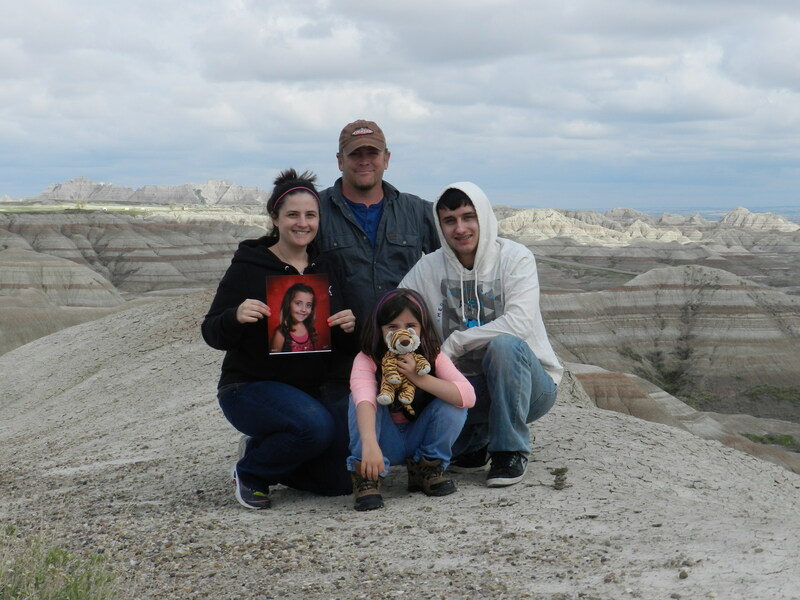 We took Laney’s favorite stuffed animal with us as well as a bigger picture of her so that we could include her in our family pictures. We seen so many different animals and were blessed with beautiful weather and I know our little angel had a part in that. There was one moment during our trip that stood out as a sign from Laney. 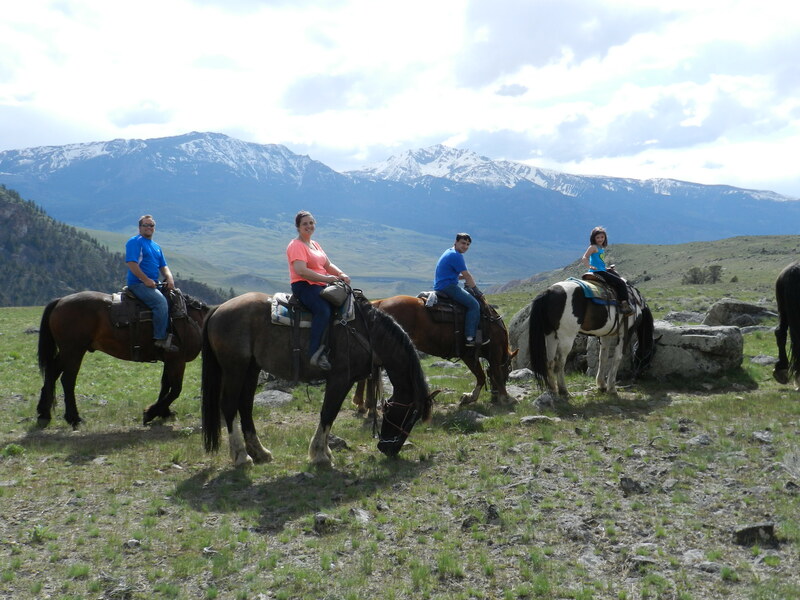 We decided to take a horseback riding trip through the mountains near Yellowstone on our very last day of our trip. We packed Laney’s stuffed animal up with us and ventured up a huge hill to get to this ranch in the middle of nowhere. As we pulled up we saw the friendly faces of the staff waiting for us. We all not so gracefully got on to our horses. After a brief instruction on how they work, we followed the guide in a single file line through the trails. It was just the four of us and our guide who had been working at the ranch for many years. We traveled a good distance with our guide telling us stories of different animals they frequently see on their rides. As we were riding up the beautiful mountain side I saw a white flash move very fast out of the corner of my eye. I looked up the hill to see a brilliant white wolf darting up the hill with purpose. I of course yelled and pointed so that everyone else could see it. Jacob had been hoping to see a wolf the entire trip but they are extremely elusive so we hadn’t seen any up until that point. That was the last animal we needed to see to complete our Yellowstone animal checklist that the ranger had given us on our first day in the park. As all our eyes were fixed to this wolf it did the oddest thing. It stopped, turned around, sat on a rock that was projected out of the mountain side and just stared at us. We are in Yellowstone area so we didn’t really think that this was abnormal behavior till our guide spoke up. He said that in all his years on that part the mountain he had never seen a wolf there ever and definitely not one that just stopped running knowing people weren’t far away. That beautiful white wolf just stared at us and we stared back. I can’t tell you how much time passed because we were all just mesmerized by it. I felt Laney in that moment and by looking at my husband’s eyes I could tell he felt her too. After a good amount of time passed our tour guide said we needed to get moving. As we rode away the wolf continued to watch us then turned and continued up the mountain. As we rode forward I had tears of joy and lose. I know that she will never come back to us which were my tears of lose but knowing she would give us such an obvious sign that she was watching over us brought tears of joy. Other than our trip we have just been muddling through every day. I have been keeping busy with Laney’s new foundation during the week then working every weekend. Laney’s dad is also busy with work because this is his busy season. Jacob is doing amazing. He is trying really hard in school and getting good grades. He said he wants to make Laney proud and I can tell he is doing just that. He also started to take jujitsu which he in turn teaches his sister. Kylee then tries her moves out on the defenseless stuffed animals. She still doesn’t sleep in their room but has gone up there on a couple occasions without bringing the dogs with her which is an improvement. 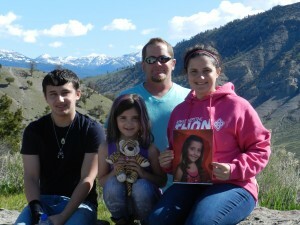 We miss Laney everyday and try to keep her alive in all the things we do. 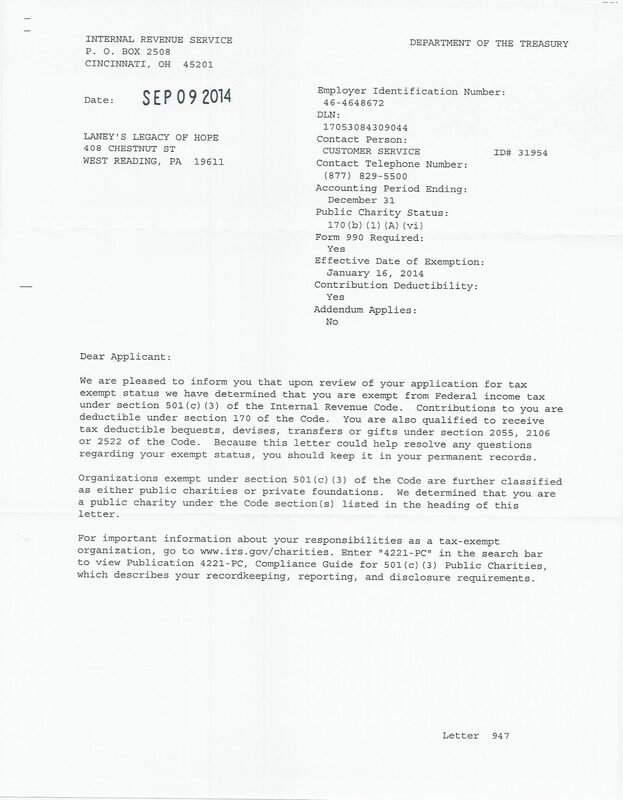 I am so thankful to all of you who have supported us in the past and who continue to support us moving forward.